Shimla has eternally been one of the most popular hill stations in India, right from Mughal times. There’s something magical about its steeped forest hillsides, its sloping roofs flaked with snow during the winter months, and its pleasing climes during oppressive summer months, spending best days within best services at luxury hotels and Shimla resorts. With popular landmarks such as Christ Church, Mall Road, and Scandal Point – Shimla ensures it has enough in its kitty to keep most tourists pleasantly occupied during their stay. Getaways are meant to give you a ‘change’ that refreshes you absolutely but doesn’t send you too far from home! The joy of a getaway doubles when the road to travel is easy and short. 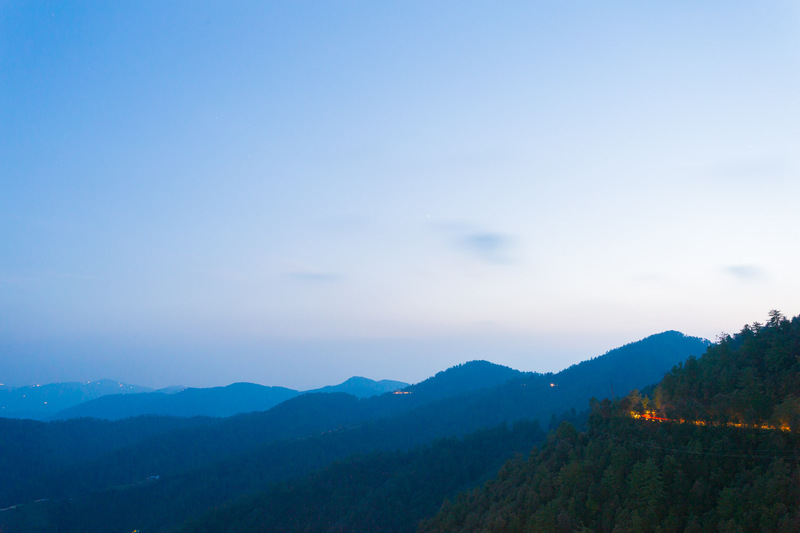 To cut yourself from the glamour of Shimla yet be near it to reach anytime, Toshali Royal View is your answer. It is away from the city yet comfortably near it. Toshali Royal View near Kufri-Chhail road is not only meant to bring you close to nature but also to your loved ones. 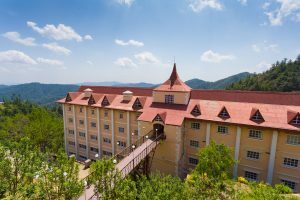 So bring your family here to relax and bond while exploring, what this resort among other Shimla resorts has to offer special- from recreational games and adventure sports to hilltop spa and nature walks with picnics and much more… Celebrations can be more special if they are away from home but with loved ones around. So this time, plan a special and unique birthday or any special occasion for your family at Toshali Royal View, and gift them sweet memories for a lifetime. This 3 star resort is a blissful weekend hideout for couples seeking solace and some time for themselves! Live the romance as you walk in the forests hand in hand. Toshali has a personalized experience ready for you each time. If you are an artist looking for an inspiration, stay with us till your heart desires and your mind demands. The beauty, the tranquility and the pristine nature is sure to create a spur within. If you just want to take a break from your daily life, drive kilometers and cut off from the world by sitting right onto nature’s lap. Soak in nature and just curl up reading your book the whole day. Kitty parties / social gatherings are life’s small pockets of sunshine. And to make it more special, plan it differently this time. Instead of choosing your drawing room or lawns, choose a location more close to nature and refreshing to give your celebrations a unique touch. Its perfect location makes it the best satellite celebration point for you. So be it weekend parties or special kitties, plan it uniquely this time, by coming to Toshali, one of the best Shimla resorts. With a range of entertainment options like adventure sports, bonfire, barbecue, wellness spa, trekking and many other team games, your entire gang will have a whale of time. A little of colonial glimpse and a little of modern trend, the vicinity of rolling lush green valleys and the grandeur of lofty peaks, Shimla, the happening hill station in India, have always been a priority amongst all domestic tourists. For some it nestles like a cool retreat and for some it churns like a gateway to some exciting trekking destinations. But for the hideaway travelers Shimla marks lavishly and shines like a crystalline bed of love. The mighty hill station located in the ranges of Himachal Pradesh have also been outranking as an ideal destination in India. Amidst the group of adventurers, families and leisure traveler’s one can even spot few honeymooners concealing their mood. Today Shimla is one of the busiest hill stations in India but there are people who look for some privacy and a quiet ambience. The rosy honeymooners who seeks to unfold their radiance finds it bit arduous lacking privacy. Thus Toshali Tours and Travels heals their petals with rays ideal retreats with Shimla honeymoon package that brings along online hotel booking offers and enriches a complete hideaway for the honeymooners. Nurtured amid the natural ambiance of oak and deodar trees, Toshali Royal View is amongst the 3 star resorts in Shimla and also marked as one of the best honeymoon retreats in Shimla due to its exotic location and luxurious rooms. Easing up travelers with online hotel booking offers, Toshali Tours and Travels promises a memorable honeymoon with cordial reception, calm and refreshing ambience. Shimla honeymoon package at Toshali Royal View, crafted effortlessly beautifully within the deodar forest is one of the best pick out from the array of honeymoon hotels in Shimla. With large windows overlooking the magnificent mountainsides, the kind of cozy atmosphere, the secrecy and tastefully decorated interior altogether adds to make your dreams flame bright. Toshali royal view is the ultimate hideaway stopover and one is surely going to take along the hospitality of the staffs. Shilon Resort Shimla, far from the city, in a complete new vicinage, is a haven for honeymooners. The mesmerizing view of the mountains makes the resort an ideal honeymoon retreat in Shimla.